It was really providential, because when we moved in, the floor and ceiling fan just “happened” to match the school furniture we had from the old house, and the desks and cabinets just “happened” to fit the span of the long wall. God is so good! The kids keep their school books in the short cabinets. Above the cabinets is a picture rail my Dad put in. 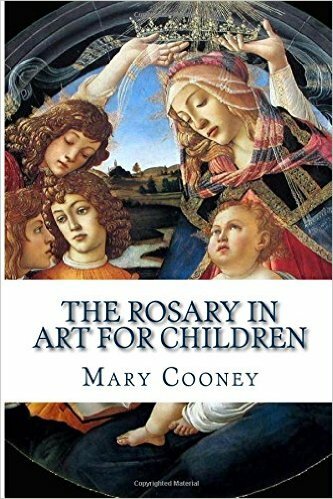 We have artwork depicting the childhood of Christ. The great thing about a picture rail is that you can easily change up the pictures. I could feature the children’s artwork, or I could feature works of art we’d like to study (but never seem to find the time for), or I could line up history cards to make a moveable timeline. Admittedly, I haven’t done any of those things, but it’s nice to have the potential. I use the large table in the middle of the room for teaching and grading. Each child has his/her own desk but the younger ones sometimes do their work right beside me when they need extra help concentrating. What I like about the low cabinets is the “counter space” where the kids can put their completed work for me to grade. Although, once in a while my kids think it’s funny to pile all their completed work on my table — evidence of all the work they have done and all the grading I have yet to do! Against the fire place is the computer table. We didn’t really want to cover the fire place, as we thought it would be cozy to have a fire in the school room on cold winter days – reminiscent of pioneer schoolhouses. But we needed the wall space, so the fire place had to go. So when your kids ask you, “Can I have a snack?” or “Can I skip this page of math”, you can save your voice and simply press the button. But I digress…. The beautiful artwork on the mantle is a gift from Sue. These icons are from Portraits of Saints where you can get paintings of just about any saint you can think of. 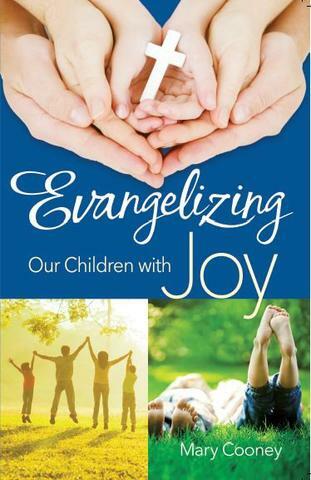 They make great gifts for Baptisms, First Communicants, and of course, homeschoolers. The longer you homeschool and the more kids you have, the more homeschooling stuff you accumulate. Hence, the need for an Ikea cabinet. As in many houses, the family room comes off of the kitchen. This allowed us to convert the eating area of the kitchen into a play area for the little one. I can keep an eye on her while teaching. So that’s the tour of our homeschool room! So beautiful and organized! I love the low cabinets and the way you’ve spaced the desks along with the table in the middle!